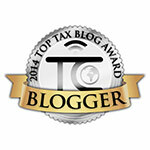 The Buzz About Taxes: Foreign Bank Account Regulations IV: TD F 90-22.1 Is Now Form FinCen 114! Foreign Bank Account Regulations IV: TD F 90-22.1 Is Now Form FinCen 114! On September 30th, 2013, the Financial Crimes Enforcement Network (FinCEN) made a very important change to the FBAR form which will effect it's filing for 2014. 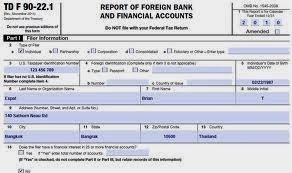 The FinCEN Form 114 supersedes TD F 90-22.1 as the official FBAR form. The new FinCEN Form 114 is only available online on BSA E-Filing System website. A paper copy of the FinCEN Form 114 will not be accepted. The system allows the filer to enter the calender reported, including past years on the online form. The online form offers an option to explain a late filing. It also lets you indicate if a filing is being made in conjunction with an IRS compliance program. If you are filing FBAR with your spouse jointly or if you wish to have a third party preparer file your FBARs on your behalf, you can use the new FinCEN Form 114a. This form is not filed with the Form 114 but maintained with the FBAR records by the filer. The taxpayer has to go on the website and can download an Adobe PDF version of the FBAR, fill out the report, sign & save a copy & then submit the FBAR on the BSA Website. Or the taxpayer can designate their EA, CPA or attorney to file on the BSA website on their behalf. An Enrolled Agent, CPA or Attorney can become a designated third-party filer. The EA, CPA or attorney must make sure they have documented authority from the tax payers required to file to sign & submit FBARs on their behalf through the BSA E-Filing System. If such authority has been provided, the EA, CPA or attorney can file the FBARs through the single BSA account established for them. Many professional tax software programs have now incorporated the FinCEN Form 114 & enabled e-fling with the BSA Website through the software.